Yael was born on March 15, 2007. She is a very active, happy, kind, fifth-grader who delights in giving to others. She finds joy in her family and friends, and singing in her church choir. Prior to the age of four, Amharic was her main language of communication. Shortly after Kindergarten, however, Yael began communicating in English at school, but spoke her native tongue at home. Today, Yael is celebrating her eleventh birthday. back. When I examined Yael’s back I was not able to see any unbalanced stature. To be sure, I tried to see from all angles and even brought a water level measure. As a matter of fact, due to our ignorance of the scoliosis and its assessment at the early stages, we did not allow her to bend over. I could not find any sort of abnormality on her back, but two things came to my mind: First, was the way she sat at her desk in school, and at the study table; second, her flat feet, also called pes planus, which we noticed earlier when she was an infant. So, the following morning, we consulted her teacher and asked her to pay special attention to the way Yael sits in the classroom. After a few days the teacher reported that Yael normally sat leaning (to her left side) on the desk. We were pleased when the teacher promised us that she would continue to follow our daughter by reminding her to sit upright as far as possible. We endeavored to do the same at home. After several months, we learned of the Children Hospital (CURE Hospital in Addis) that provided treatments related to orthopedics. I took Yael on Saturday, April 11, 2015 to check on her flat feet. While we were in the hospital we noticed several kids who were having bone problems including “scoliosis.” There was a foreign Doctor Rick and one young Ethiopian doctor who would make the diagnoses. I only informed them of her flat feet. The doctors took time to observe Yael’s gait, by asking her to walk, stretch and contract to test her strength before they decided that Yael would definitely need X-rays of her leg. But before leaving their office, I thought of sharing with them the way she sits at her desk at school. I also informed them that I observed her leaning more to her left when walking as well as sitting. The doctors began asking more detailed questions before adding an X-ray of Yael’s back to the many tests. When the x-rays were completed, we went in to the office to discuss their findings. We were told that Yael’s feet were fine; not to worry about it. The doctor gave me a piece of paper (Prescription) to see Dr. Rick Hodes. He is the only person to raise funds for kids with scoliosis and heart problems to be treated in Ghana at FOCOS (Professor Oheneba Boachie) for scoliosis and heart in India). I tried to read the prescription but did not understand fully because of the usual doctor calligraphies and some medical terminology. The prescription says, “ Dear Rick, This kid has a 40-50 degree right thoracic scoliosis. I suspect nothing needs to be done for now but I wondered whether you might like to keep an eye on her”. It took me some time to understand. I took it to mean that this was a simple case, since it stated “…nothing needs to be done… keep an eye on her” it never crossed my mind as to the seriousness of the matter. Dr. Rick was out of the country and we could not see him immediately. So on July 18, 2015 we went very early in the morning (5:00am) to see Dr. Rick H. at CURE Ethiopia Children’s Hospital. There were a few people already present who came much earlier than us. Soon after, there were literally hundreds of kids with different medical issues who arrived and the place soon was very crowded. Dr. Rick and his team arrived around 9:00 A.M. Some patients and their family were already acquainted with the doctor because they have been waiting quite a long time, traveling to Ghana & India in order to see the doctors. Everyone was so happy to see Dr. Rick. He began by greeting the ones he knew personally by calling their names, which made the parents happy. We waited patiently for our turn before finally entering to see him. Dr. Rick examined Yael’s feet before taking photos of her back from various angles. He also checked her status from the computer file in his office. After some time passed, he concluded that Yael would need a back brace. However, the brace would have to come from Europe or America because none was available anywhere else. Assuming that the “brace” could be found in any shop abroad, we said we have friends and family in USA so that they can possibly send one to us. Dr. Rick said this was a good idea, and that is what we should do. Shortly thereafter, as we were planning our vacation trip to Bangkok, we thought of buying a brace from there like any other equipment. Our attempts to learn more about this possibility were not successful because Dr. Rick said, “your daughter’s case is like what Americans say is a piece of cake.” Actually we felt as if he was trying to compare Yael with the worst situation other kids were in, when, in reality, it would have been much better had he given us more detailed information about scoliosis. The day of our trip to Bangkok was upon us and on August 12, 2015 we went to Bumrungrad International Hospital, one of the best privately owned hospitals in Bangkok. We had an appointment with Dr. Sumroeng Neti, and shared the whole story, providing him with the X-ray copy from CURE hospital in Ethiopia. He ordered Radiology tests for full spine (AP & LAT) and full leg (AP) and he ordered MRI. All other test results except the MRI were on the doctor’s PC within an hour’s time, but he did not want to let us know the results. He was waiting for the MRI. Unfortunately the MRI machine at Bumrungrad Hospital was malfunctioning, so we were referred to their sister company. Yael spent three hours doing the MRI. Before the scan began the technician asked if she needed anything to help her remain calm during the procedure. Much to the surprise of everyone, she promised not to move, for the fear of the injection. She did not move until 10 minutes prior to the end of the three hours in the MRI machine even with all the noise associated with the procedure. They voiced their appreciation of her and said they had never done this without anesthesia. Our daughter was so very brave. We were so pleased. On August 17, 2015 we brought 30 pages of the MRI results from PRACHACHUEN IMAGINE CENTER CO. LTD which cost us about USD $1,000.00. We submitted the hard and soft copies to Doctor Sumroeng Neti. He downloaded everything to his PC and observed all the pages, as well as read the results, as we sat in his office. Afterwards, he looked at us and said, “I have good news and bad news. We were quite shocked to hear the bad news and he continued; “the good news is she has no complications in relation to the “Idiopathic Scoliosis” and the bad news is the curve is 70 degree (which is contrary to the radiology result which stated that “The Cobb is about 54 degree, measured from T5 to L3” and he said she needs urgent surgery otherwise her curve will be bigger and she will become deformed. We asked if there could possibly be any other solution. We were on vacation and not prepared for such a diagnosis. We insisted on further evaluation for any better option including the suggestion of Dr. Rick’s brace. The doctor continued to make an attempt to convince us by searching his PC and showing us the X-ray of an Arabian kid who was a scoliosis patient whose spinal curve was much worse than Yael’s. Dr. Sumroeng told us that the boy’s spine was much like our daughter’s when they first diagnosed him. His parents did not accept his proposal for the immediate surgery, and when he came back five years later, his curve had worsened in such a way that it was impossible to straighten. The only solution was to bring the curve up to the first curve. He concluded by saying that the same will happen to our daughter if she does not immediately undergo the surgery. We left it up to the professionals about whether it is the expected standard of medical ethics or not because we were about to literally collapse from all that had taken place thus far. Deme and I were so caught up in our own grief that we failed to immediately see the tears well up in Yael’s eyes. We had not yet realized that she understood everything in our conversations with the doctors. It broke our hearts to see our child in so much emotional pain. One of us took her out in an effort to console her, while the other kept asking more questions of the Doctor. He did not, however, change his mind about doing the surgery regardless of all our appeals. When we asked about the cost, he referred us to the nurse at the counter, who gave us the estimated cost of USD $35,000.00 initial deposit for scoliosis correction, Instrument fusion T3-L2. This cost did not include additional treatment, any medicine after the surgery and physiotherapy. We had already taken a big portion of the money we had at hand visiting other hospitals and doctors in search of the right diagnosis. We knew that we could never afford the deposit, much less the surgery; we left the hospital feeling devastated and lost. Our vacation trip suddenly changed to a medical emergency that found us in what seemed to be a hopeless situation. We went back to our rented room and started new life of dismay, frustration, full of confusion, sleeplessness, and stress. We did not want our daughter to know our true feelings, so we remained silent. We ignored our feelings by focusing on her. Our question to God was “Why not one of us? Why her?” We were totally broken and in agony surrounded by hopelessness. The next move was to consult some of our good friends in the country (Bangkok) and based on their advice we started looking for other hospitals with similar remedies, like Somdech Phra Debaratanan Medical Center, Catholic Mission Hospital, Mission Hospital (Adventist), and Faculty of Medicine Ramathibodi Hospital Mahidol University. We faced many challenges while visiting these places. In order to avoid additional expenses, we presented all the medical records from Burmrungrad Hospital since it is a well-known private hospital. But the doctors in other hospitals have many reservations to comment, but advised us to follow the previous recommendations for Yael’s care. In addition to that, there was no spine surgeon specializing in scoliosis in any of the other hospitals we had listed. We began to search feverishly on Google for any and all information about scoliosis, its impact on individuals, comments and experiences (positive and negative). We also decided that it was time to include our family and close friends in our struggle, both in the country as well as those living abroad. Soon, we were inundated with wonderful messages of support and caring. There were prayers of hope, ideas for ways in which to help. The news had come as a shock to everyone as they were under the impression that we were merely on vacation. Our friends in South Africa and USA started looking for medical facilities as well as charitable organizations as we contemplated the sale of the only property we own (house & old car) to cover the medical expenses. Meanwhile, the following morning we decided to get an early start with securing doctor appointments or hospital visits from the list we had. So we took the very first train leaving the station. Deme and I pondered our most pressing dilemma: the doctor visit fee which was minimally in the amount of USD $200.00. The second challenge was to answer Yael’s question: “Why are you doing this to me? You brought me for vacation but now you are taking me from hospital to hospital.” Our hearts were breaking as we tried to convince her to understand as we promised to take her to an amusement park in town after our visits. The list was substantial, but we were determined. On August 18, 2015 we visited Ramathibodi Hospital, and made an appointment for August 20, 2015 to see Dr. Wichain, Spine Surgeon. On August 19, 2015 we followed up with a visit to a doctor in Mission Hospital (Adventist) because we were told that the doctor is very good and had worked some years ago in Ethiopia. We were relieved to share the medical information as we related our daughter’s plight. After reviewing the material, she advised us to go to Ramathibodi Hospital to see a Dr. Wichain who was also her professor and was an experienced Spine surgeon. We had kept the news from her that we already had an appointment to see him. It was not until we showed her the appointment letter that we discovered it was indeed the very same doctor to which she referred. She was very much surprised that we had secured the appointment so quickly as it was difficult to do because of his packed scheduling. We stated that surely this is the work of God! She advised us not to go to any other hospital before speaking with this doctor. She convinced us that he was the one to help us. We left the hospital with much more positive attitudes as we made the decision to follow her advice. However, we continued to Google scoliosis and particularly Dr. Wichain’s background. We were satisfied to learn that he was well experienced in scoliosis surgery in Thailand and Bumrungrad Hospital. On August 20, 2015 very early in the morning as we began our day, we promised Yael that this will be the last Hospital to visit as we took a train to Ramathibodi Hospital, one of the best government owned hospitals which has a medical school and research center. This hospital provides service for the low, middle and better-off income citizens. The expatriates and medical tourists pay a bit more for the services, which could be very expensive. We waited for the doctor to come and around 9:00AM we were the first to see him. In our opinion, he was very professional with a calm demeanor. He listened intently to our inquiries, sometimes letting his sense of humor come through. Dr. Wichain reviewed all the medical data with care. Before we began our conversation about Yael, we informed him that we are here on vacation with the free ticket that our employer provides and we do not have money. We shared the recommendation of the Bumrungrad Hospital doctor, as we had been taken by surprise with the immediate surgery diagnosis. We needed more time to raise the funds necessary for the operation. In addition, we had legitimate concerns regarding Yael’s age. We discovered in our reading that the surgery would have an impact on a child’s growth. How would this affect our daughter? Could she wear a brace to buy time? He questioned the availability of treatment in our country for scoliosis. We informed him that there is no specialist in our country who deals with this disorder. He said that he has worked for more than 25 years on scoliosis and related surgeries, and would be willing to go and educate our citizens as he is retiring soon. He even offered to operate on Yael in our country if prior arrangements were made. We had no words except to thank and appreciate him for being so nice and explaining in detail about the scoliosis. Dr. Wichain’s visit had put us more at ease with the situation. We were less stressed. We promised ourselves that we would give Yael no opportunity for worry, as we renewed our trust in God. As promised we took Yael to different play stations and shopping centers, where she could have some much deserved time off. She was very happy at last. Finally, we were on our way back home. On the same day that we ordered the brace, Yael’s aunt (Mrs. Siddise), was in Ethiopia searching for solutions in helping Yael. She shared the issue with Mr. Tom, the person who has enabled everything to happen for Yael’s first surgery in Ethiopia, as well as in LA, USA in close coordination with The Hunt Foundation. While we were on the Bangkok airport on board back to Ethiopia we received a letter (e-mail) full of hope and giving assurance not to worry. We don’t know him but the letter is like from a person who is your close and intimate relative, friend or family member. We rejoiced and thanked our God! The e-mail stated that there was no need of surgery in Bangkok. Yael should come to USA to be re-assessed by the Drs. Leonel and Gabriel Hunt, as they are willing to do what they can. You do not have to worry about any financial implications. He said he would take care of it. A great burden was lifted with that e-mail. We had no words to say except thanking God and the people whom God provided. Life continued as usual. Yael started her school. We kept a diligent eye on her back. We eventually noticed a gradual change in the curve of her back. It was growing fast enough to be noticeable from a distance. As we waited on our visas and the close of school for the Christmas break, Yael was forced to wear the brace all the time except when she showered. It was not enough to wear all the day in school, but also at night while sleeping. It was considerably uncomfortable, especially when the weather is hot. It was conspicuous to her classmates, as it limited her mobility. Yael eventually accepted the fact of sleeping with the brace on, and with the help of God, managed constant wearing of the brace all the time with minor discomfort. We continued our visits to CURE hospital and Dr. Rick H. who is facilitating the scoliosis treatment in Ghana and Ethiopia. He invited professionals from USA & Ghana, like Dr. Kemal and Dr. Boachie. These same doctors were expected to visit Ethiopia in November 2015. Yael was placed on the waiting list because her condition was better than other kids. Dr. Kemal came in November as planned and examined her. He completed his assessment, took all relevant documents and history from us. He planned to come back the following year (2016) to perform the surgery. While we were trying all the avenues available to us, we held a thanks-giving program for the opportunity we are promised with friends and family. We were witnesses to God’s amazing grace in the face of our daughter’s illness. There were tears of joy in appreciation for everyone and everything we had been through so far. Knowing that it was all in God’s hand brought us much peace. As soon as Yael’s school was closed for Christmas 2016, we left for the USA. Our best friend (Dr. Melye and Wubeshet) was gracious enough to accommodate us for a few days at their Redlands, California home. After that, we then moved to Mr. Tom’s home in LA for a three-day stay. Tom took us to see Dr. Leonel Hunt and Dr. Gabriel Hunt at Cedars-Sinai Institute for Spinal Disorders and Cedars-Sinai Orthopedic Center. Every necessary assessment (x-ray, physical, the status of curve, prior MRI) was done by Dr. Leonel. He also ordered another brace for Yael with a more comfortable fit than the present one. Dr. Hunt proposed that since the curve is still flexible, and as it is recommended to do the spine surgery when her body is fully-grown or at least she is above nine years of age, we came back to our country for her spine surgery to be done around May 2016. To our surprise and gratitude, all the costs would be covered by them (The Hunt Foundation and Tom). Fortunately, The Hunt Foundation has a project (supporting of orphanages, medical team capacity building, deploying of medical professional volunteers from abroad (USA), Spine and Neurology and related illness surgery and provision of equipment) housed at Bethel Teaching hospital here in Ethiopia; they preferred to undertake Yael’s first surgery in Addis at Bethel General Teaching Hospital. In the beginning we were not happy about the plan of surgery in our country due to several shortcomings in the medical area of our country, including but not limited to OPD facilities, professionals, equipment and medication. The Hunts promised us that all professionals and equipment would be from USA. They would only need to use the space. We finally we were convinced and agreed. On Sunday, May 15, 2016 at 8:00pm Yael was admitted to Bethel Teaching Hospital in Addis Ababa for her pre surgery assessment by the medical team. The team was composed of more than ten different medical professionals from the USA. The operation started about 4 hours late than originally planned. Due to the prolonged delay, Yael started feeling hungry. It was more than eighteen (18) hours since she had food. Finally, Yael was moved to the operation room around 12:00 PM (noon). This was the time that our faith in the Lord was tested. There were so many friends, and family members around the hospital praying and waiting to hear the successful completion of the surgery. We were given updates (via Marthi) from the operation room about the status, but sometimes the information came late, which aroused fear in all of us. Fortunately, after several requests, at 6:15pm we met Dr. Leonel who reported that it was successful beyond our expectation. We went with him to the nearby recovery room and had a chance to see Yael from a distance while her body was connected to computer and screen. Everyone was happy and relieved at seeing her although from afar. Later, a nurse invited us (me and Deme) to go in and see her. The anesthesiologist (Dr. Gabriel’s wife, Dina) was explaining the nature of the anesthesia and asking Yael to give a high five to her dad and mom. Yael only opened her eyes once and barely lifted her right hand to make high five. We were so very happy and excited that our eyes filled with tears of joy and relief. We thanked the Lord and the people who were so dedicated to making it all possible. Yael was moved to her room (409) around 7:45pm. She had the oxygen on her mouth, IV on her hand. She was still very weak, falling asleep against her will, and feeling hangover symptoms (fatigue and dizziness). Her face was swollen due to the procedure. We had to strap her onto the bed to keep her from mindlessly slipping to the side. She could not talk. The first words we finally heard her utter were: “Let me sleep.” It took her several days to get back to normal. However, she managed to eat (light food) and drink water and juice. The following morning, she started to toilet with support. On her third day she stopped taking any medication, as her dizziness did not improve much. Little by little, she became better and finally on Friday May 20, 2016 Yael was discharged. The Hunt team have been with us and made close supervision and monitoring of her status and this includes sharing information, changing of the wound dressing, getting her up to move (walk), intake and everything we needed to know for Yael’s recovery. Before the discharge, all needed post-surgery test and x-ray were taken and evaluated. The first two to three weeks of our daughter’s recovery was a bit challenging. We had to be patient with her emotions. She wanted someone from the family to be constantly by her side. Someone had to always be available to read books (story) If the reader stopped, assuming that she had fallen asleep, she would suddenly ask to continue. We read many books for her. Her appetite was very poor, and was not easily satisfied. She disliked some of her favorite foods, books, movies, clothes… sometimes all she wanted was quiet. Gradually she improved and was ready after two months of her surgery to attend private classes in order to complete the remainder of the curriculum. Miss Hela, her teacher was willing to come to our home and office to help Yael. Yael finally completed her studies and was assessed. The result was excellent. We continued thanks giving for the successful surgery and soon recovery. We kept on giving thanks to our Lord in prayer, and in song with tears of rejoice and leaving her future in God’s good hand, witnessing to the people about His blessing to our family. Yael took X-rays every two months to be sent to Dr. Leonel (LA), in order to monitor know the status of the curve degree and improvement. With the passage of time following her rapid growth, the lower part of her spine has started a gradual curve till it could be observed as she dressed. Dr. Leonel suggested that the curve on her lower back needs to be corrected. Again, we started worrying about the second surgery despite Dr. Leonel informing us that it would be just correction, and not like the first one. We kept updating and sharing photos and X-rays. Dr. Leonel informed us that he wants the surgery to be done in LA; however, he had to speak with, and convince Cedars-Sinai Medical Center hospital management team for the charity. Thanks to God and all of them who supported us in all their different talents and responsibilities. Finally, it was agreed to do the second spine surgery 0n December 13, 2017 in USA at Cedars-Sinai Medical Center, one of the most preferred hospitals in Los Angles, California. Once confirmed, Yael had to sit for her first term assessment two weeks earlier than the school schedule. On December 6, 2017 we left for LA, where we would stay at our family member Dr. Meley and Dr. Wubeshet and Mr. Tom & Rachael’s home in Redlands and LA respectively. Yael had her pre-test on Friday, December 8, 2017, Monday December 11, 2017 at Roxbury Pediatrics (Dr. Shaham) and Cedars-Sinai Medical Center lab, respectively. She was admitted on December 13, 2017. During the admission process, where we answered many necessary questions, we met Dr. Leonel and the other Doctor (Brangce) who will be with him as they assessed Yael. It was then that we met an Ethiopian doctor, Dr. Hailu Ebba who is an anesthesiologist at the hospital who assured us that things would be okay in our own language (Amharic). It was our very first experience in such a place and many more different groups of professionals repeatedly visited and inquired if we needed anything. It was a pleasure to be recipients of such wonderful hospitality. The surgery was started at 1:00Pm and we were updated every 25 minutes, while we (Me, Deme, Rachael) waited in the area assigned to us as friends in USA and elsewhere joined us in prayer. All the while, we had been updating our friends who were online. After about three hours we were informed that the operation was a success, and in 40 minutes time we would be able to see Yael in the ICU. There was happiness all around and gratitude to God and the people who were always by our side. Dr. Leonel, came to us, shook our hands and said it was done successfully. We had no words to say for his support as we just hugged him and gave our thanks. He escorted us to the ICU, where Yael is connected to the systems; one nurse was taking care of her. It was different than the first surgery. (Her face is clean, and she looks much stronger. ), She is alert, talking, smiling. Her face is not swollen, and after a few minutes she asked for a drink. The nurse provided her with juice and crackers, which she readily consumed. We were more than happy, did not believe, and wanted to thank Lord loudly (had it been not in ICU) and tears of joy came uncontrollably. We have asked God, “Who are we to have this kind of privilege, among several kids who are suffering of similar or worse diagnoses, particularly in Ethiopia?” After our Bangkok hospital visit throughout the first surgery in Ethiopia, our question has become, “Why not us/me (mom & dad)? And, Why her?” But now we believed that there is something special God wanted to work in us through our daughter Yael. They moved Yael to room (4002), which was well equipped with the big monitor screen, IV, Oxygen, patient bed with several adjustment, TV (all channels), two beds for parents, visitor chair, table, cupboard, multifunction remote (TV channel tuning, emergency calling, light switch off and on, brightness control and with other function which we have not tried), refrigerator, shower and toilet room. Food menu with set of choices. It is served to patient and parents on their choice, snack and sweets are provided, drinks of all kind of juices, water and milks are available, different kinds of kids gift, praying group visits, the room was very clean and with nice wall pictures and paint. Dr. Leonel with his limited available time, visited at least twice a day and he was there when we needed him. From the time she is moved to her room till she is discharged every 20 or 30 minutes, different physicians kept visiting, checking and measuring body heat, pulse rate, heartbeat, breathing, seeing the wounded condition and changing of the bandage, and asking us and taking time in listening if we have any inquires and responding immediately. As of her second day of surgery the therapists were helping her to walk and informing us of all the do’s and don’ts. In the beginning, all the frequent visits from the staff created concern in us, as we doubted whether all was well with Yael. Later, we came to understand that they value the lives of human beings and they are discharging their professional responsibilities, as they are required. Five hours after the surgery, Yael managed to walk to the toilet, and on the second day she started waking in the room; on her third day she managed to walk in the corridor with the help of the nurse; her appetite was okay, she started watching movies, drawing, talking to visitors and physicians. The best miracle of all is that she experienced no pain, and therefore had no pain medication. The wound surface was healing well. On December16, 2017 she was discharged from the hospital, and on December 22, 2017 we had to come to Dr. Leonel’s office for a checkup. Her wound was healed. He removed the dressing, she had X-ray for comparison and he found that everything was perfect as he wanted and even more than his expectation. Dr. Leonel gave a go ahead to travel back home any time after her tenth day. He arranged a second check up to be done in Ethiopia when he comes with The Hunt Foundation team. We stayed in USA until January 5, 2018 for better recovery as well as sort of vacation. 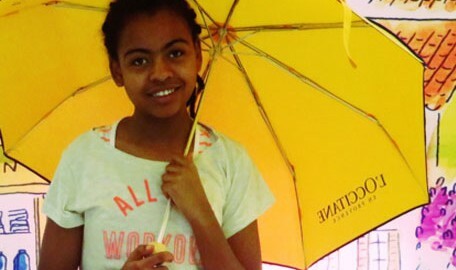 We arrived back home in Ethiopia on January 7, 2018 and Yael pursued her school on 9th January 2018. She is doing very well. Now, Yael is in a good condition, experiences no pain and she is especially happy with her physical appearance. She is looking forward to following the instruction for faster recovery and longing to see the end of the restrictions. As her parents, we, along with our extended family are very happy to see our daughter in such good condition emotionally, physically and spiritually. We believe and pray that our God will make her future bright and hope to see her become someone who will help others in need. May the almighty Lord bless her forever. We cannot move forward without recognizing some very good people for the FREE OF CHARGE life-rescuing mission, both financially and professionally. We especially thank you Dr. Leonel, Dr. Gabriel and The Hunt Foundation, Mr. Tom and Mrs. Rachael, the Cedars-Sinai Medical Center Management and staffs; The company that provided us the medical equipment, the people behind the foundation and people whom we do not know. Without their support and God’s intervention it would have been impossible for us and for our daughter to enjoy the new life that she is experiencing after her scoliosis surgery. Let me use this opportunity in encouraging people who can contribute their given talent (in cash and/or in kind (professional) to support to The Hunt Foundation, as we have many more kids who are suffering from this illness in Ethiopia. There is no spine surgeon who specializes in the treatment of Scoliosis in our country. Due to lack of awareness of the illness it has affected several citizens. Generally, scoliosis is considered as a curse from God and a person is considered possessed by a demon sprit. Mainly, in rural Ethiopia, parents of children diagnose with scoliosis are more than likely to keep them at home so that people will not know that their kid/s are cursed by God and/or possessed by demon sprit. There are few people with scoliosis who manage to go to school and become professionals. There is such a stigma associated with this disorder that a considerable number of people with scoliosis are destined to a life of begging on street for help or doomed to the confines of their homes. I am convinced that there is a huge opportunity to stop the impact of scoliosis by making parents, the community and medical personnel aware of the illness and assessing children early in their lives. It is vital to train and educate parents in understanding the importance of early detection of the disorder and find support in the community instead of stigmatism and isolation of their children who may be affected by scoliosis. It is equally important to have qualified medical personnel to treat the disorder. It is crucial to have better access to spine and neurosurgeons such as Drs. Leonel and Gabriel Hunt and The Hunt Foundation who are willing to offer their time, money, and expertise to the people of Ethiopia. “Brace” (orthotic) treatment for scoliosis is used to prevent spinal curve progression and to maintain the appearance of the back. It is made up of some plastic and leather materials. Scoliosis in Ethiopia. Scoliosis has affected many children and adolescents in Ethiopia. However, there is no study done to know exact number of citizens who are directly affected and its impact on socio-economy. 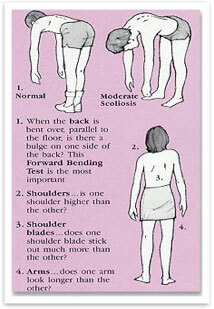 Please observe carefully the diagram to assess scoliosis for appropriate and earlier solution. It is advisable for school age kids to screen for scoliosis at school. Parents could assist by checking for early warning signs every six months. However, if one or more of these signs are present it does not necessary mean scoliosis has developed so parents should consult their physicians. Leonel A. 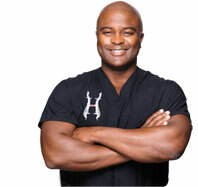 Hunt, M.D., is a board-certified orthopedic spine surgeon in Los Angeles, focusing on the treatment of pediatric and adult scoliosis, complex spine disorders and minimally invasive surgical techniques. Commonly recognized as one of the top spine specialists Los Angeles offers, Dr. Leonel Hunt is an attending surgeon at the Cedars-Sinai Institute for Spinal Disorders and Cedars-Sinai Orthopedic Center. His primary areas of research interest involve orthopedic implants and innovative treatments of spine-related back pain. These findings have been presented at numerous national and international conferences as well as peer review publications. 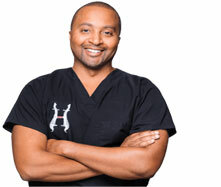 Dr. Hunt received his bachelor’s degree from Johns Hopkins University and his medical degree from the University of Southern California (USC) School of Medicine. He completed an internship in general surgery at Emory University School of Medicine in Atlanta and a residency in orthopedic surgery at St. Mary’s Medical Center in San Francisco. Dr. Hunt also completed specialty training in orthopedic surgery of the spine focusing on both adult and pediatric spinal disorders at the San Diego Center for Spinal Disorders in La Jolla, California. Gabriel E. Hunt, Jr., M.D. 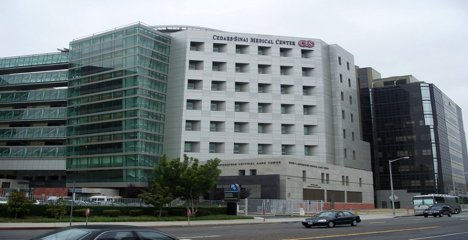 is a neurosurgeon in Los Angeles who focuses on the treatment of spinal cord injuries and spinal trauma, the treatment of complex spinal disorders, as well as tumors and vascular abnormalities of the skull base, spine, and spinal cord. Known by his patients and peers as one of the most skilled spine doctors Los Angeles has available, Dr. Hunt believes in utilizing a minimally invasive approach to treat all appropriate spinal disorders. In addition to his private practice with Hunt Spine, he is an attending neurosurgeon at the Cedars-Sinai Department of Neurosurgery and the Cedars-Sinai Spine Center. Primary areas of research interest for Dr. Hunt include new advances in the treatment of spinal cord injuries and developing new minimally invasive surgical technologies. As a knowledgeable and influential Los Angeles spine surgeon, he is a member of the American Medical Association, American Association of Neurological Surgeons, and the Congress of Neurological Surgeons. If you want to know how to be a helpful supporter despite the circumstances in which you may find yourself; If you are a single parent, widowed, divorced, Black, White, educated or not, rich or poor,) and/or if you want to shape your children’s destination and want to know how to make them positive thinkers, and/or if you want your friends and family members to know how to be a good person; and/or if you want to raise your kids in a direction that will enable them to become someone very helpful like the HUNTs. 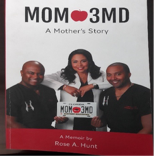 If you want to be a hard working and responsible mother like Rose A. Hunt, please read this book. It has many valuable lessons to learn. Acknowledgement We the parents (Deme & Elias) of Yael would like to acknowledge our God in heaven who has given us our lovely daughter Yael, and for His provision of such wonderful people in enhancing our daughter’s quality of life. May His name be glorified forever and ever!